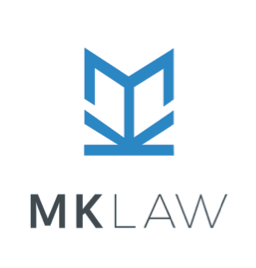 Michael Kim is the Principal of MK Law Barristers and Solicitors. He is a specialist immigration lawyer who comes from a unique background as a former immigration officer at Immigration New Zealand (INZ). He worked as an immigration officer over five years in various roles including assessing various types of Resident Visa applications and conducting verification/site visits to workplaces. As an immigration officer, he had to deal with many migrants, who were desperate to become New Zealand residents but failed to do so, not because they were unworthy but simply because they weren’t professionally prepared. They didn’t understand the daunting nature of the immigration policies/ instructions against which their cases were to be assessed. Common stumbling blocks were featured in those failed applications that he had to deal with. Read more. Just as his immigration expertise ripened, Michael undertook a legal study at the University of Auckland with a sole aim of becoming an immigration lawyer, graduating in 2011. Since admitted to the bar shortly afterwards, he has helped many migrants achieve their immigration goals, be that Resident Visas, appeals or defending deportation. He is also experienced in conducting judicial proceedings in High Court. Michael has been invited to speak as an immigration specialist at Legalwise Immigration Seminar in 2019. Michael originally comes from South Korea, married with three children. In his leisure, he enjoys reading bible and watching movies. He is 2 Dan black belt Taekwondo practitioner as well. Michael is a current member of the Immigration and Refugee Committee at the Auckland District Law Society Inc.
Apart from the immigration matters, he also helped many clients in settling employment issues at the Employment Relations Authority and the Employment Court. As a counsel in the criminal matters, Michael has successfully represented many criminal clients, including a repeat domestic violence offender, discharged without conviction.